Kevin Fong visits landscapes that inspire scientists and artists to explore and imagine. The tour includes volcanoes that dwarf Everest and an extreme version of the Grand Canyon. The planet Mars boasts the most dramatic landscapes in our solar system. Kevin Fong embarks on a grand tour around the planet with scientists, artists and writers who know its special places intimately- through their probes, roving robots and imaginations. 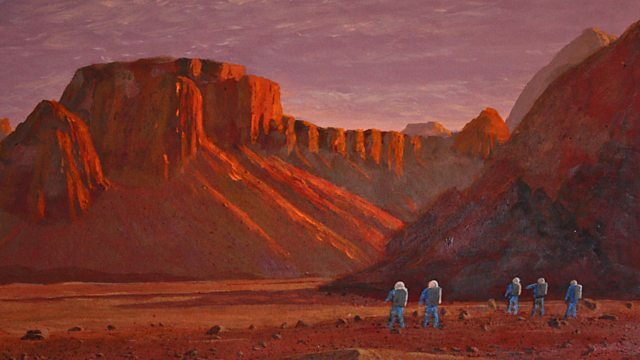 This first part of the journey includes Mars’ gargantuan volcanoes, an extreme version of Earth’s Grand Canyon and the cratered Southern Highlands where future explorers might find safety from the Red Planet’s deadly radiation environment.